Daniela Gregis is the result of loving devotion to the creation and craftsmanship of clothing. The outcome is a freeing and comfortably artful style. This season comes with hints of the beauty of gardens and spring. 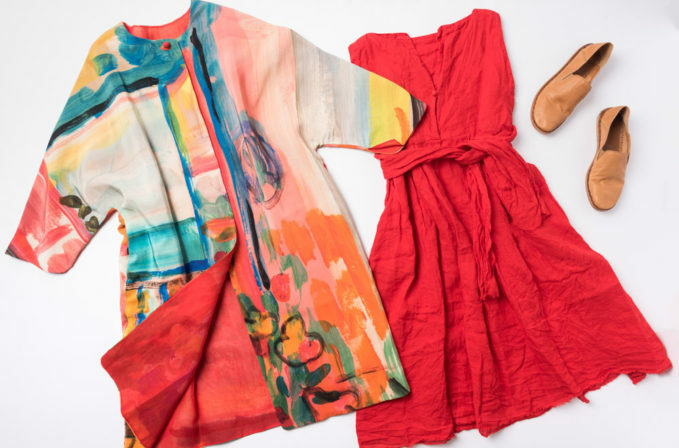 The Daniela Gregis printed silk & linen reversible jacket with pattern in free paint strokes goes over a linen red dress that ties in the front. The casual Italian look is finished with Officine Creative brown shoes.